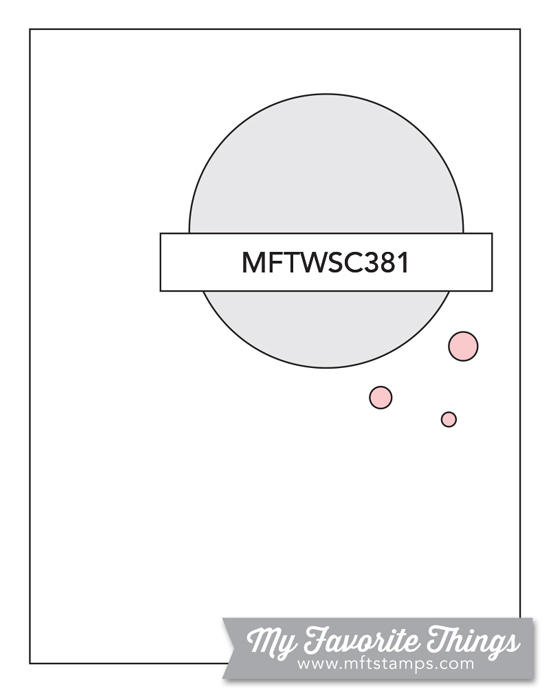 It is my second post today as I wanted to play along the MFT Sketch #381and Colour Challenge #91 this week. I started with creating my background on Bristol Smooth paper. I sponged some pink distress inks with a light hand and then used a stencil and heavier hand to add more texture. I distressed it with water, added some pink splatters. Then I die cut 5 times the Chain circle frame and layered them together using spray adhesive. I stamped, die cut and coloured with Copics some flowers from the Buildable Bouquet set. I added them inside the frame using 3D foam squares. I covered the petals with a clear shimmer pen, added some glossy accent and a golden glass pearl. The sentiment I heat embossed in white on a thin strip of black cardstock. A few mini white pearls finished it off. I will link this project up on the MFT Colour Challenge #91, MFT Sketch Challenge #381, Simon Says Stamp Wednesday Challenge Sparkle and shine and Simon Says Stamp Monday Challenge Flower Power. 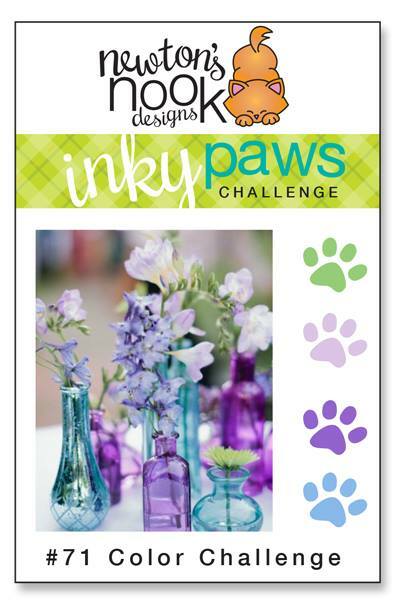 It is Monday and time for a fresh new challenge at the Inky Paws Challenge website. #70 is a great sketch which inspired me to make a clean and simple every day card. I started with cutting a piece of red gingham paper and a strip of red and a strip of white cardstock. On the red one I cut 3 windows with a Simon Says Stamp Tri square die. On the white one I stamped the sentiment and the cute doughnuts from the Love bites stamp set. I quickly coloured them with Copic markers, added some highlights with a blender pen, some clear shimmer and glossy accents. 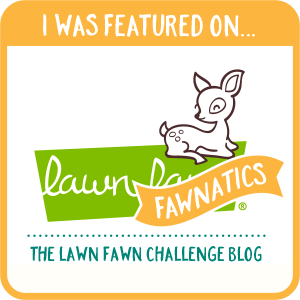 I adhered the red frame on top and tied a piece of twine around the bottom part. I used a kraft card base and popped up the focal panel with 3D foam tape. To make sure the bow will not come undone, I used a drop of Multi Matte Medium on the knot. 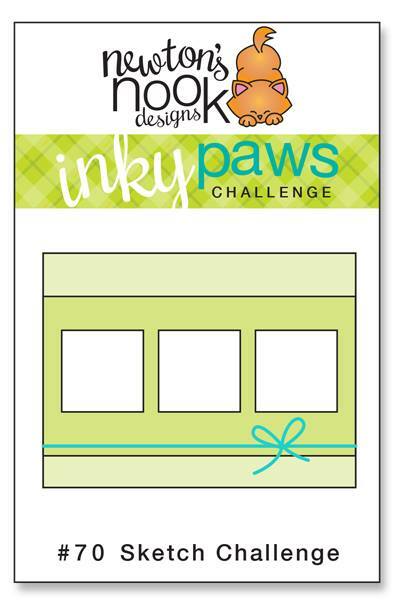 I hope you like my simple card design an you got inspired to participate in the Inky Paws Challenge #70. 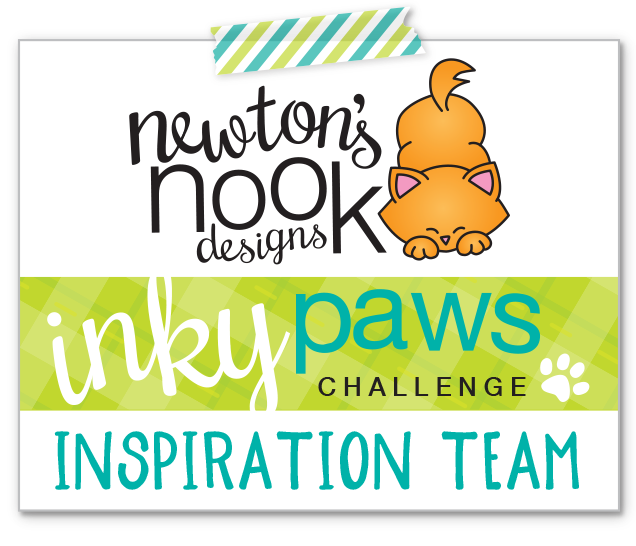 You have 2 weeks to upload your project to be eligible to win the 20USD gift certificate to the Newton’s Nook Designs online store. 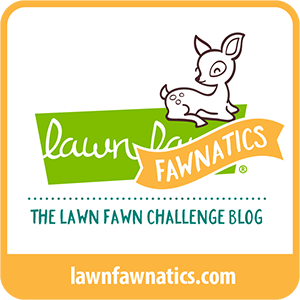 See you soon with more fun projects.